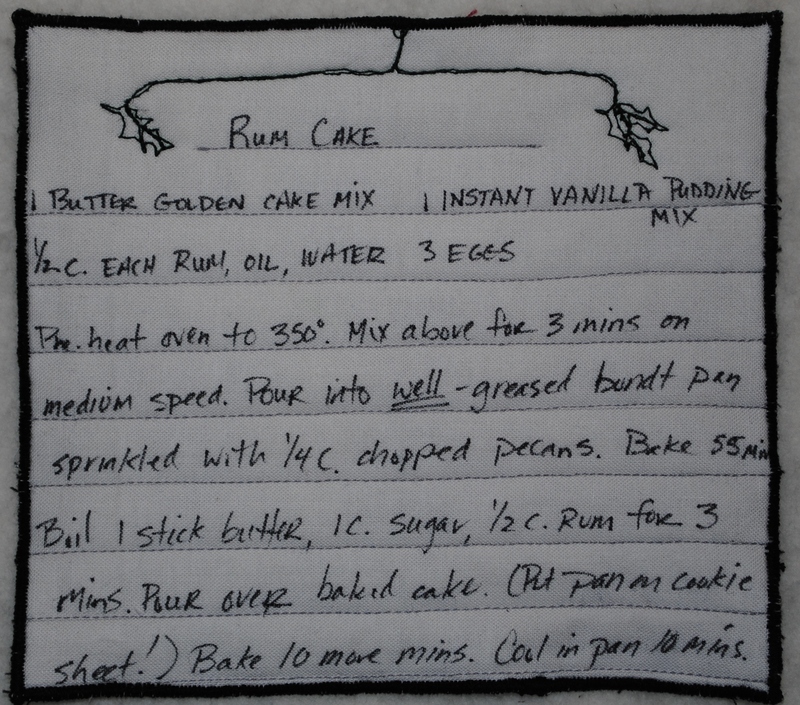 This week in 2011 during my journal quilt project, Christmas prep was in full swing and my kitchen had become a rum cake factory. I have probably made hundreds of this cake over the years. I first made it in 1988 (probably), when a teacher of mine pulled me aside at Christmastime and asked for one. She’d had my cousin 4 years before me and my aunt had made one then. My teacher had been thinking about it ever since. So, I went home, asked my aunt for the recipe and a rum cake dynasty was born. It only happened once that the oven door blew open and flames shot out because of the build up of fumes from so many cakes made back-to-back.